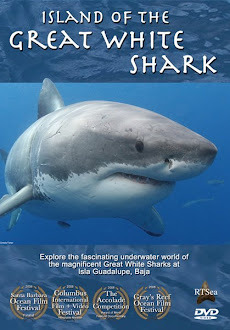 Shark Diver : Shark Diving : Swimming With Sharks: Shark Cage Divng in Tasmania? A Good Thing! Shark Cage Divng in Tasmania? A Good Thing! Industry rumors of, "a few last hold outs" for white sharks in the Southern Hemisphere have been the stuff of legends and myth for a number of years now. That changed in 2008 with a nascent operation at Stewart Island, NZ. 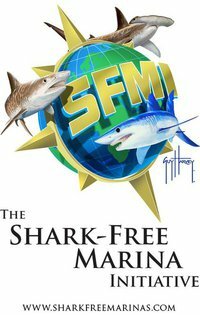 Unfortunately conceived of and run by a commercial shark fisherman who has a multi-ton quota of shark fin for export to Asia (yes it's true). Thankfully for the industry newer and greener operations have surfaced at Stewart Island making this site one of the most exciting finds in the past decade. You owe it to yourself to make the very long trek one of these days to Stewart Island and say hi to Mike Haines in season. The white shark encounters are some of the best on the planet at this remote and special site and Mike is an island local who cares about these sharks. But what about Tasmania? Where the heck is Tasmania? 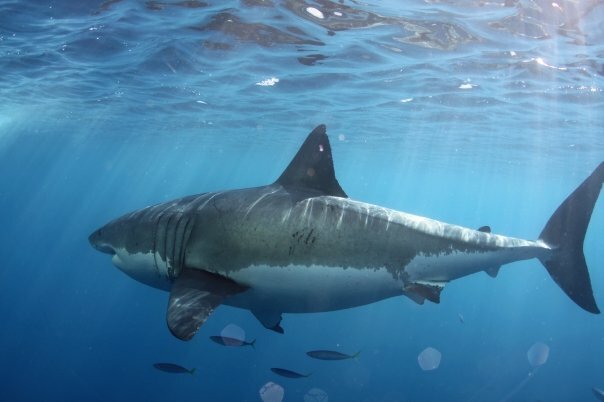 Tasmania represents the final frontier for white shark diving. A place so remote, so unspoiled, that white shark populations regularly kick out monster sized animals in the 18-19 foot class. That's the good news. The better news this week is two enterprising Tasmanian locals, Scott Howlett and Dave Young, have decided to make a go of the operations side after seeing how it is done with Australian commercial shark diving legends Rodney and Andrew Fox. This is crazy. I could never bring myself to dive with great whites! Now I would love to go swimming with the dolphins. Great ! I wish you the best with this idea and would love to go shark-diving myself. Gonna go to tassie from 28th Okt. If you would take me with you and i can affort it , count me in.